يقع فندق جين بريسبان في منطقة مشهورة للغاية في المدينة. هذا الفندق هو من الخيارات الشائع بين المسافرين. يقع الفندق على بعد 1.0 Km من مركز المدينة، ويؤمن الوصول إلى أهم مراكز المدينة. يوفر العقار بفضل موقعة الجيد وصولاً سهلاً إلى أهم معالم المدينة.
. يقدم فندق جين بريسبان خدمات لا غبار عليها وكل أشكال اللياقة وحسن الضيافة اللازمة لإسعاد ضيوفه. يمكن للنزلاء الاستمتاع بالميزات التالية: خدمة الغرف على مدار الساعة, واي فاي مجاني في جميع الغرف, مكتب الاستقبال على مدار الساعة, مرافق مخصصة لذوي الاحتياجات الخاصة, تسجيل وصول/خروج سريع أثناء إقامتهم في هذا المكان الرائع. ادخل إلى واحدة من الغرف 191 وتخلص من عناء نهار طويل بمساعدة مجموعة كبيرة من الخدمات كمثل تلفزيون بشاشة مسطحة, بياضات, مرآة, مناشف, اتصال لاسلكي بشبكة الإنترنت (مجاني) الموجودة في بعض الغرف. كما أن مجموعة الخدمات الواسعة الموجودة في الفندق لضمان راحتك تترك لك الكثير من الخيارات لقضاء وقتك أثناء فترة إقامتك. اكتشف مزيجاً ساحراً من الخدمة الاحترافية والخيارات الواسعة من وسائل الراحة والمتعة في فندق جين بريسبان. good location, very convenient on public traffic, just 5 minetes walk to the roma street station. Just a little noisy as it is so close to the train. 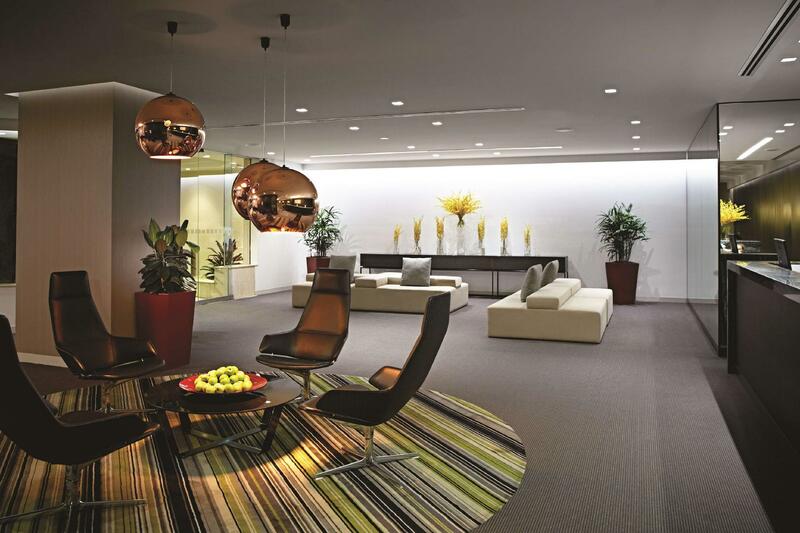 10 minutes walk to the central business center of brisbane. A good choice anyway.! We heard that the hotel will be closed to make way for development. Cannot comment much on the facilities but the reception was awesome. We checked in at night after our flight and we were served by a real dedicated staff. He was clearly passionate about what he does (sorry forgot his name!) and offered so many useful tips on where to go. Kudos for being so professional! Great hotel .. sadly closing 15 December ‘18. Thanks Julia in The Nest restaurant/bar ... had a great lunch and drinks with family. Interested to see if hotel Jen moves .. closing because of river rail project. Very happy with Hotel Jen and would definitely stay there again. Good price room in heart of the city, short walk to everywhere you want to be, right next to central train station, safe area and plenty of restaurants, cafes, shops surrounding it. 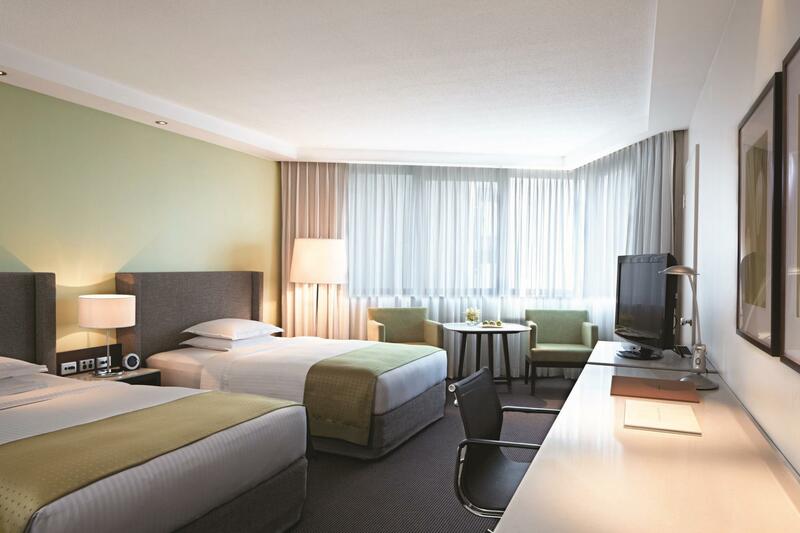 The check-in and check-out process were both super efficient and professional and our standard room was nice - bigger than most standard rooms, well furnished, modern, clean, good view and just 'felt good'. Money well spent - thank you Hotel Jen. Location of the hotel was great and is close to the city area with many food/coffee options around. We asked the front desk for a travel adapter on two occasions - first, they mentioned that they did not have any adapters available. The second time we asked, they still did not have any available, but we requested for one to be sent to our room as soon as they have one. However, none was brought to us during our whole stay and we ended up buying one of our own. Pro: clean room, great location - very near to train station and cbd, reasonable price. Con: the room we stayed in has no warm water in the shower. It is either freezing cold or boiling hot. So after a long day out and would like to take a warm shower...we could not. Although our room was prepaid thru agoda, Room deposit was kinda high at $50/night. 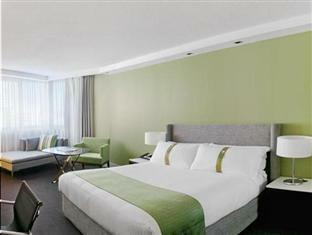 We Also Stayed in Sydney and Perth with another hotels chains but both hotels in both cities did not charge such rates. 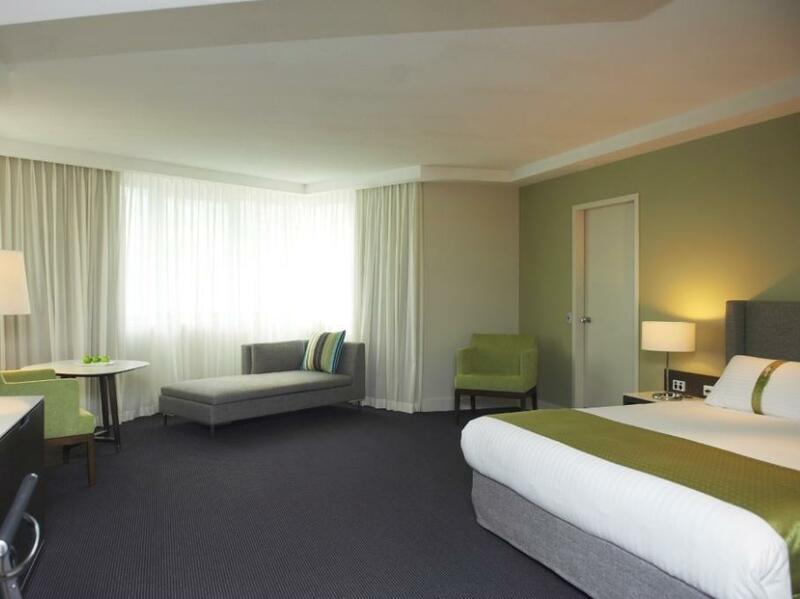 Hotel is well located short walk to mall and next to Roma street station. I was a little disappointed at check in was early so couldn't check in which i understand but felt I could be contacted as soon as room was available as they have done in the past.rooms facing onto train station are a bit noisy suggest booking room facing Roma street. Price was very good so didn't expect too much but were pleasantly surprised at the high quality of this hotel. 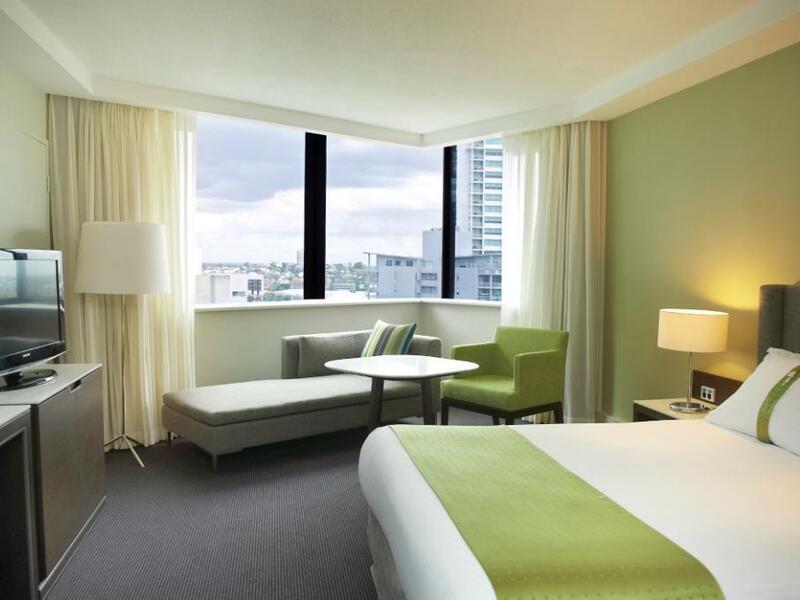 We have stayed at many Brisbane hotels and this would be our pick. 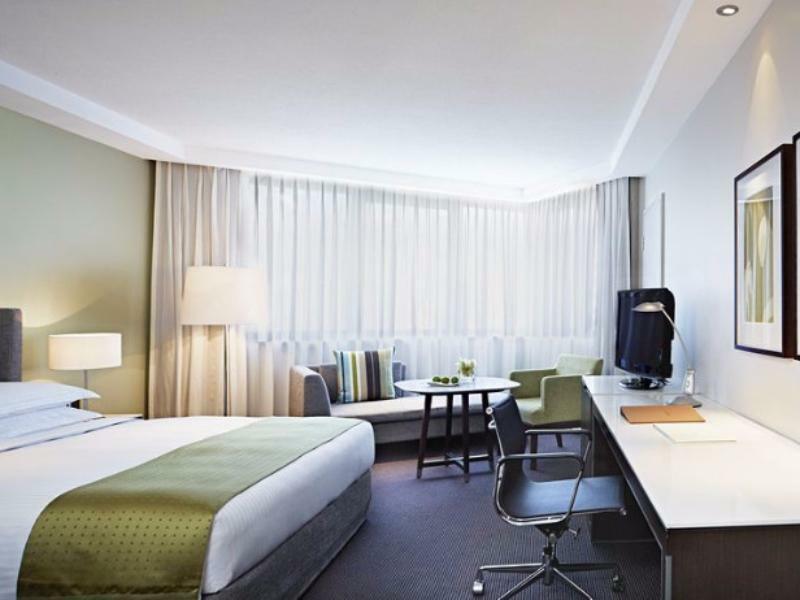 The hotel is situated in the Roma Street transit centre so easy access to everywhere. Room was spacious and refurbished as new with comfy beds and good quality furnishings. Amenities were excellent with beautiful thick towels, for example. Gym was good with new, good quality equipment. Buffer breakfast was good, especially the fruits selection. Next time we will ask for a room facing the road not the railway as there is some noise from the rail tracks. it's really good to get the early check in after 9 hours flight. the reception is so friendly and helpful. and the room is pretty clean and brightly even provide capsule coffee in room. don't need to talk about location, just walk to the city and nearby the train station which could take you to everywhere. 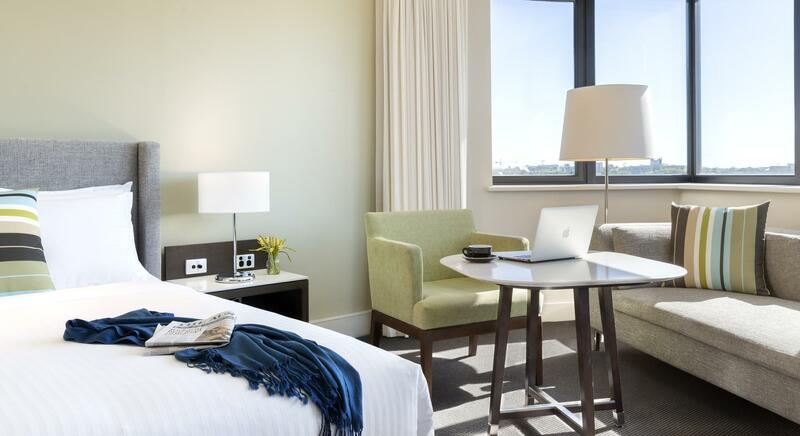 it will be the best choice to explore Brisbane. Really enjoyed my time here was upgraded for free to a King size room - massive with a huge bathroom and lovely view over the river! Clean, comfortable and all for a good price! Reasonably priced food and very friendly and helpful staff. Great location - could walk easily to all parts of the city. Stayed here for one night. Great location. Easy to get to with public transport. The room was surprisingly spacious. Our room faced the railway tracks and there was a little bit of noise, I am a light sleeper and it didn't keep me awake. I would stay again. Place was very lovely and was given the highest floor with an amazing view of Roma Street's train station! I guess the only downside was I was requested/expected a room with bath tub but wasn't informed of the availability. I was choosing between a lower room with a bath or higher room with a shower and the manager was super helpful dealing with my fussiness. 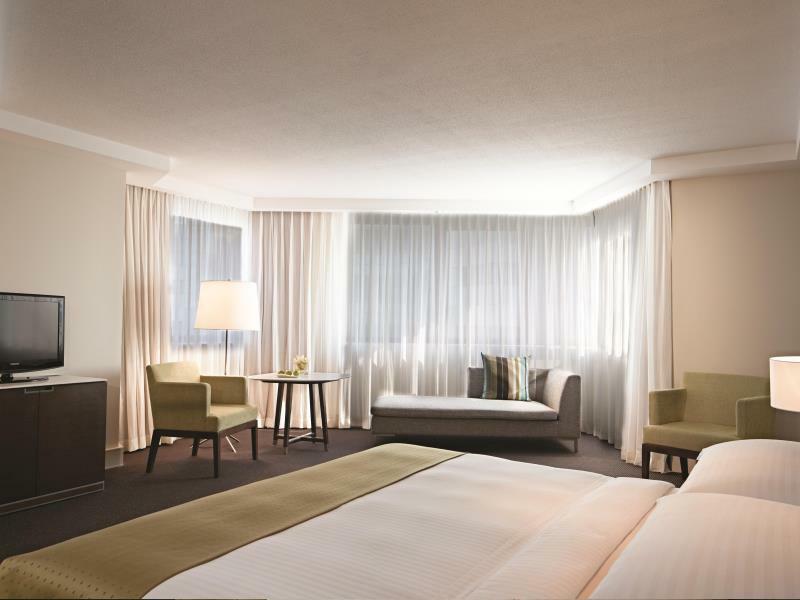 Rooms a good size, comfy bed, fresh coffee in the rooms. Room service food ok but nothing to write home about. 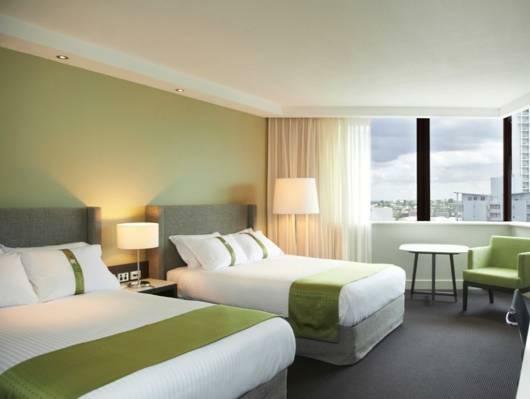 This hotel is right next door to the Brisbane, Roma Street train station, I'ts maybe twenty meters away from the entrance, across the road and down the street is the mall with all sorts of shopping and eateries. If your arriving by train its the perfect choice, most comfortable bed I have ever slept in. 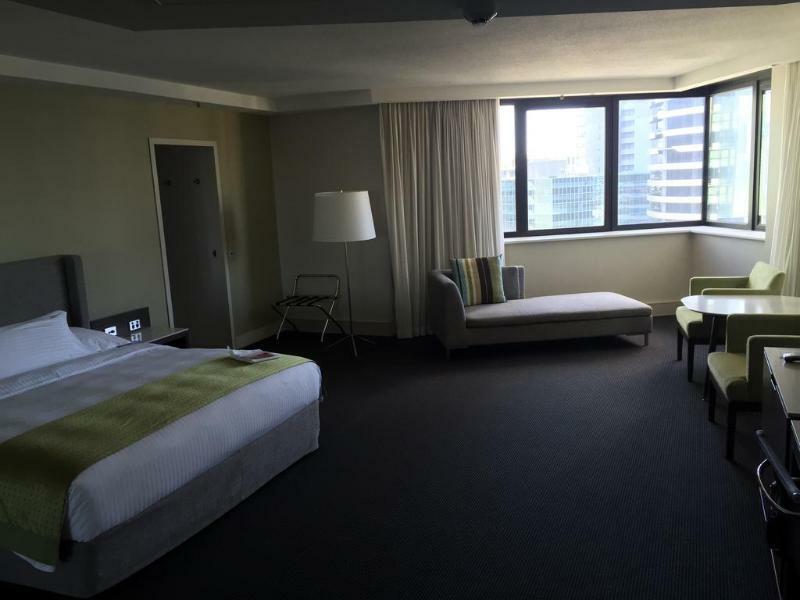 we will definitely stay in this hotel if we visit Brisbane again. The staff was excellent, advising us directions and giving us tremendous help in storing our luggage. Just couldn't thank them enough. The hotel is right next to the Roma Street Station. A supermarket (woolsworth) is about 15 minutes away on foot and the city centre in 10 minutes' walking distance. Almost another good stay however had hot water issues.twice I had to report it eventually got it sorted only for some thing to occur again next morning.stayed on level 12.if you are a light sleeper like myself may want to get a room facing Roma street as train noise a concern.